Sure, wireless and wire-free headphones keep getting better, but they still have their fair share of quirks and bugbears. There can be dropouts, they're more expensive, and they'll go flat when you need them most. And hey, everyone has a favourite pair of 3.5mm buds or cans. These days I find I'm rarely without two pairs of headphones - a wireless set for my phone, and wired for my laptop and Switch. Of course, while many manufacturers have abandoned the light, there are a few keeping 3.5mm tethered to this mortal coil. Here's a quick look at the smartphones that still have a headphone jack and the plans you can buy them on. Samsung is easily the most stringent defender of the headphone jack, having kept it across almost the entire range. The upcoming Galaxy Fold will be jackless, but 3.5mm is otherwise a given on current Samsung devices. This includes the newly released Galaxy S10 family, the Galaxy Note devices, and last year's Galaxy S9. The Galaxy S10+ is the crown jewel of the S10+ family and doesn’t need much introduction. It's got all this year's bells and whistles including a camera cut-out display, three rear-facing cameras, and an in-screen fingerprint reader. And as the name might suggest, it's the largest of the three S10 devices currently available (the S10 5G is again slightly larger) and has the highest battery capacity. If you'd prefer a cheaper S10, the Galaxy S10e is the good kind of compromise. A few features have been cut to keep the cost down, but they're not necessarily deal breakers. You get two rear-facing cameras rather than three, missing out the zoom lens. The display is smaller, a slightly lower resolution, and flat rather than curved, but you might even consider the latter a plus - I know I do. 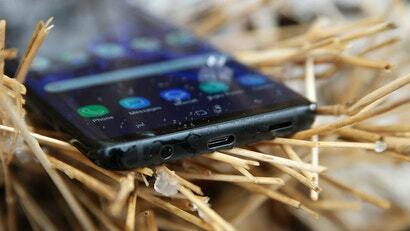 Of course, last year's Galaxy S9 is still available, and thanks to launch of newer devices, is cheaper than ever. Huawei has faltered when it comes to keeping headphone jacks on its top-tier flagship devices – it’s been absent on the P30 Pro, the P20 Pro, and the Mate 20 Pro. Most other Huawei handsets still have a 3.5mm port however, including the newly announced P30 and the more affordable Nova 3i. The P30 is the standard sibling of the P30 Pro and unsurprisingly shares a lot of its DNA. While it's not quite capable of all the same photography tricks the P30 Pro can pull of, the P30 should still be a solid shooter and a reliable phone. If you pre-order your P30 before April 15, you'll get a bonus Sonos One speaker. Huawei's Nova 3i is more of a midrange device that typically sells for under $499 these days. It definitely doesn't have the photographic prowess of a Huawei flagship, but the Nova 3i will easily last for two days and boasts a sizeable 128GB of expandable storage. For the price, that's pretty damn good. OPPO has been cutting 3.5mm jacks from its priciest phones, but still has a decent range of headphone jack touting devices. For example, the not-quite-flagship OPPO R17 has one, even though its Pro sibling doesn't. If you're after a budget smartphone, the OPPO AX7 also has 3.5mm, and is available for as cheap as $319 outright via Optus prepaid. If all you're after is a reliable budget smartphone, the OPPO AX7 is a good choice. You'll get as much as three days of battery in between charges, and while it's not the fastest phone around, it's never so slow that you'll want to peg it against a wall. I think I've said this before (maybe in other forums) but my goodness new phones are overpriced and not worth it. When you see that phones in the $300-500 range are getting the same updates (or sometimes better with Nokia/Moto) and then flagship android phones are dropped from firmware in 18-24 months, makes you wonder why you bother. Couple that with the fact that most people use their phone as a social media/internet tool and the high end specs are kinda superfluous. Throw in the fact that the 'mid tier' phones also have headphone jacks and I'll never again buy a premium phone. Of course it's just a matter of time until they all lose the 3.5mm port, but for now, it's kind of a non issue for me. It's always odd to see the most expensive flagship phones cutting features like headphone jacks while cheaper alternatives (from the same manufacturer, at that) retain it. You'd think it would be the other way around. Custom board vs generic board from the mass producing manufacturer. They reduce overheard on the custom board by not having it added to their custom design and save money by not customising and removing it from the cheap crappy board on the cheap phones. You can solve the problem of having to carry two sets of cans around by buying a set that operates in both wired and wireless modes. I have a pair of Audio Technica SR5BTs that do this and they're great. Yeah for sure. If it wasn't for the fact I got them as a gift, I'd still be struggling with my wired M50Xes like some kind of 20th century caveman. Speaking of the M50X, you can get a plug-in bluetooth adaptor for them that hooks into the jack on the phones themselves and turns them into Bluetooth headphones if you already own a pair. it's not cheap (was maybe $200 to get it shipped last time I checked), but they're great headphones, so it's worth it if you want to keep using them. Or, if you don't already have them, I believe Audio Technica make an actual bluetooth version of the M50 now as well. I have a set of Marshall Major's for that reason. Didnt want to spend TOO much on headphones this time (hate that you pay a premium for wireless, on both the phone and the cans themselves), so after scoring a $100 JB voucher at Chrissy scooped the Marshalls up. I haven't gotten a new phone since 2015, so didn't realise this was happening. Right now I wouldn't even consider buying a phone that didn't have a headphone jack. In general I prefer stuff to be wired - the cables don't bother me and I don't need to worry about keeping stuff charged. And I don't really have the spare dosh to buy a new pair of cans for no good reason. That said, since I'm not the kind of consumer who throws down $500+ on a new phone every generation I don't think manufacturers care all that much about my usage. 2015 was my first smartphone, had been using the same phone for nearly 10 years at that point... don't expect to ditch my current one any time soon unless it breaks, either. This year's crop of phones, where even a "second-tier" flagship like the Oppo R17 Pro doesn't have a headphone hack, just doesn't do it for me. I find this push to get rid of the jack to be a cynical move by the industry and a solution to a problem that didn't exist. It's driven me to widen my search and compromise on other things. 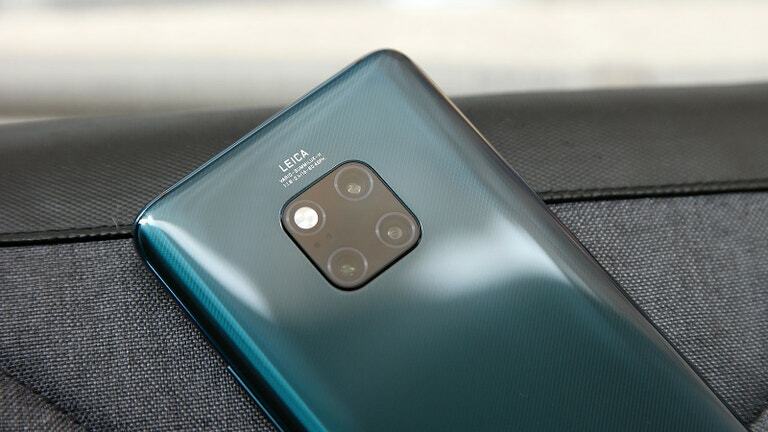 For that reason, I'm considering a LG G7 ThinQ, which will be a year-old design when I finally get it but, at least, it'll have most of the features I want, including a headphone jack (and a high-quality DAC). God knows what I'll do in 2/3 years time though, when even the previous year's phones won't offer this basic feature. Headphone jack is one thing, give me a phone with a removable battery. When I go to GSMArena and narrow the search down to phones released since 2018, with Band 28 and a removable battery, you get 5 results. All budget options. The mobile phone market really is uninspiring right now as the major players are all producing the same product with very little points of difference. My current phone (Huawei P9) still performs perfectly, and right now there's no impetus for me to get a new phone unless its dies. Dropping the user replaceable battery and SD card storage was an equally painful kick in the balls. Precisely why I'm still rocking a Galaxy S5. Just factor in a set of cans or a USB-C small inline DAC the next time you upgrade. We upgrade less and less now, so just think of it as the price paid on not having a new phone every year, or something. Before buying it doesn't hurt to check if you can buy a cheap adapter online and use the same old headphones.